Below is a taxonomy of neurons. Some of these types occur in different locations in the brain, but there are adjacent neurons of varying types with clearly functional type diversity in many parts of the brain, so the idea of having a layer of homogeneous cells in artificial networks may be limiting. Is there any reason why that is definitely the case or definitely not the case? Since there are different types of neurons in adjacent positions in the brain's arrays, should heterogeneous layers be developed, mathematically, experimentally, and in APIs designed to provide AI components for applications? 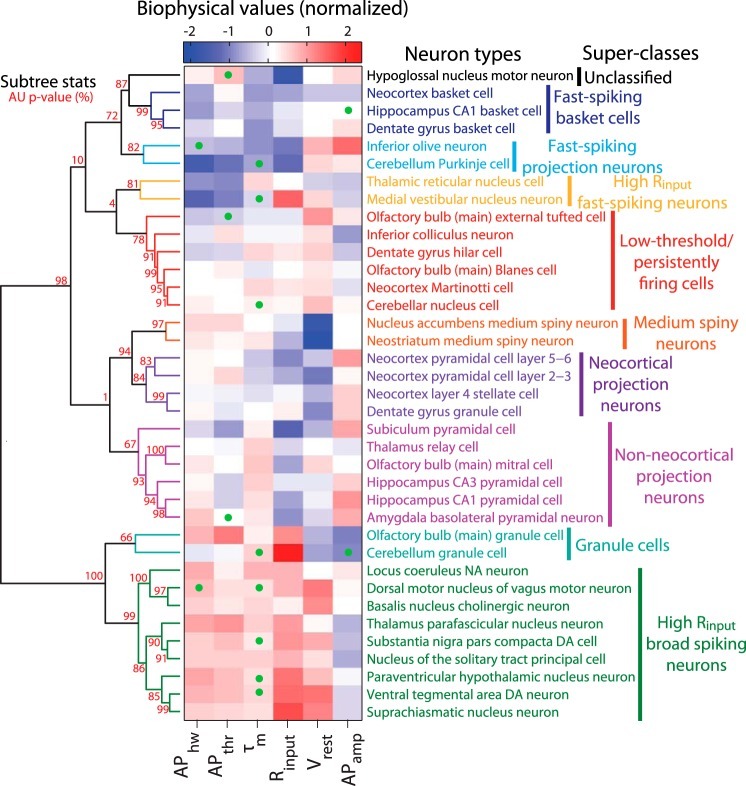 Brain-wide analysis of electrophysiological diversity yields novel categorization of mammalian neuron types, 2015, Tripathy et. al. Browse other questions tagged ai-design math artificial-neuron neurons neuromorphic-engineering or ask your own question. Are there any discount-factors based on branching factors?